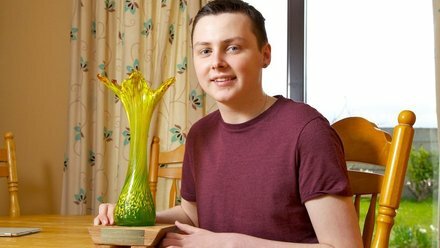 On the Leap of Faith this week, in the final programme in the current series, we hear from Elma Walsh, the mother of Donal Walsh the young 16-year old Kerry teenager who died five years ago of cancer. His appearance on RTE Television weeks before his death inspired teenagers and adults with his appeal that suicide is not an option for those who might seek help elsewhere. We hear of plans to remember Donal at a special mass in Knock which will see over 3,000 TY teenagers celebrate his life.Nicola Mitchell, Director of Knock Youth Ministry, Knock Shrine, Co Mayo also joins us to describe the event which will be broadcast on Sunday, May 13th on RTE One Television and RTE Radio 1 Extra at 11.00 am.